California Attorney General Xavier Becerra warned in a nationally broadcast address Tuesday that he is prepared to take President Donald Trump to court if he declares a national emergency to fund a wall at the U.S.–Mexico border while cutting federal funds to fire-damaged communities in this state. “What we heard tonight was the same tired refrain of building walls,” Becerra said in a speech given at Sacramento’s C.K. McClatchy High School, the attorney general’s alma mater. “The idea of declaring a nonexistent state of emergency on the border — in order to justify robbing funds that belong to the victims of fires, floods, hurricanes and droughts — to pay for the wall is not only immoral, it is illegal. Becerra, 61, also accused the Trump administration of putting a wall up between voters and the ballot box, and between veterans and health care. “They’re putting a wall between parents and their children, by putting children in cages away from their families,” the attorney general said. Becerra’s response, which was carried by Spanish-language networks Univision and Telemundo, will further burnish his credentials as a national figure in the Democratic Party’s resistance to Trump, said Bob Shrum, director of the Center for the Political Future at the University of Southern California. 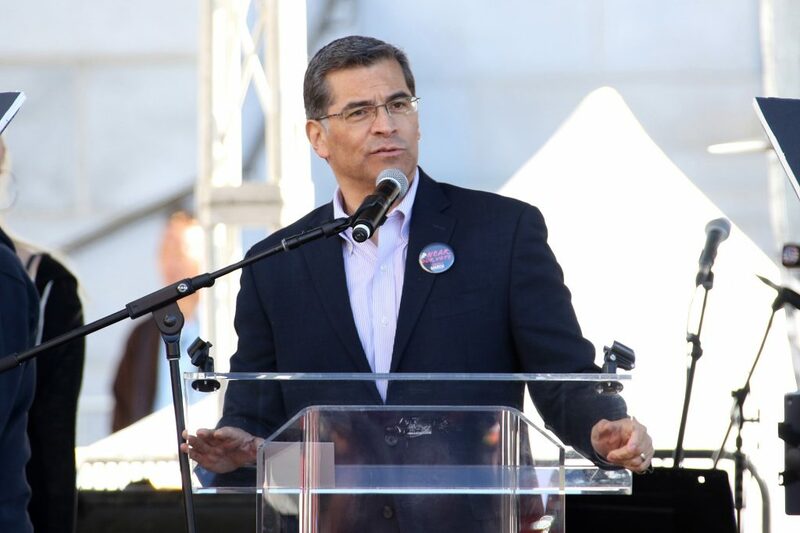 As attorney general, Becerra has gone to court 45 times with legal challenges to the Trump administration over federal actions on issues including immigration, health care, the environment, the U.S. census, education and the internet.